The Tram, as it is affectionately known, has taken more than 9 million passengers to the top of Sandia Peak and back again. Located on the eastern edge of Albuquerque, New Mexico’s largest city, the Tram is one of the most popular tourist attractions in Central New Mexico. 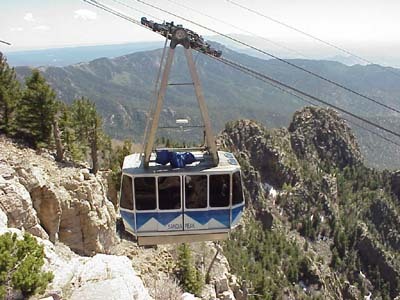 Click the link below for the official Sandia Peak Tramway site.